We build 99.99% of our projects with WordPress, yet despite WordPress running 30% of ALL websites on the internet today people still challenge us on using it for their project! Here is yet another reason why WordPress is the best! WordPress runs over 30% of websites today, their next nearest competitor has just over 3% of websites and BIG companies like Squarespace and Wix (blech!) have around 1% each?! Well, Google thinks enough of WordPress that they are partnering with WordPress’ parent company (which gives WP away for FREE by the way…) Automattic to create a very cool new publishing project called Newspack. 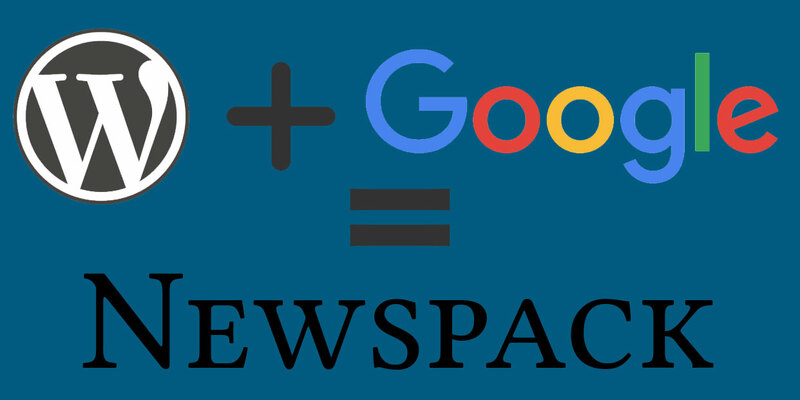 Newspack is Google’s and Automattic Inc’s project to lower the barrier to entry for small and medium-sized digital news organizations to join a powerful publishing platform. This new project is not going to replace or challenge WordPress for every other websites. These two awesome companies have very specific requirements and specifications for the organizations applying to use this new CMS. The price is rather steep, “operating fees of between $1,000 per month and $2,000 per month” but that is a far cheaper price than most small to medium sized news organizations pay to maintain powerful and fast web presences. What does Newspack mean for WordPress’ future? We don’t know yet, but Google and WordPress partnering excites me regardless! Two of my favorite companies working together to make something can only help raise all boats and make the web a better place for all of us. Plus, with big money being put into this new project, I can only imagine new features will find their way into FREE WordPress!